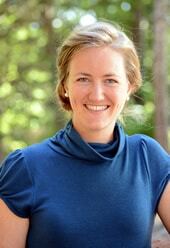 Jessica Winn is originally from Newberg, Oregon and studied Political Science at Carnegie Mellon University. At Washington and Lee, she is involved in Law Review, German Law Journal, Law Ambassadors, WLSO, ACS, and PILSA. With her law degree, she hopes to make our legal systems more accessible and transparent by means of practice or policy. I interned at Blue Ridge Legal Services, Inc. (BRLS), which is a non-profit legal aid office located in Harrisonburg, VA, that provides legal services to low income people in the Shenandoah Valley. I also researched death penalty and Supreme Court clerk legal history for one of my professors, Todd Peppers, who, in addition to teaching, writes books and articles about the death penalty and the Supreme Court. BRLS attended a large government and public interest legal job fair in Richmond, VA. I submitted my resume and cover letter and interviewed with a BRLS attorney at the fair. Professor Peppers reached out to me near the end of the year and asked if I might be interested in doing some research. He warned me that it might not be very interesting work, but he couldn’t have been more wrong! I researched legal issues in consumer law, landlord-tenant disputes, and entitlements for issues that BRLS attorneys were addressing for clients. I attended several hearings and saw my research used in arguments before the judge. Additionally, I worked directly with several clients, helping them to understand paperwork and the process. For Professor Peppers, I helped transcribe the handwritten diary of one of Justice Oliver Wendell Holmes’ clerks from the 1915-1916 Supreme Court term and researched the context for many of the people, events, and issues referenced in the diary. I also tracked down other information as Professor Peppers asked for it. I improved my ability to problem-solve, becoming more resourceful in seeking answers to questions from outside or alternative sources. I also learned about the record management systems of the court and how to use them to gather relevant information. Time management was another important skill I refined this summer, balancing my work at BRLS and my research. Professional Responsibility, Civil Procedure, Property, Torts, Contract, and Administrative Law were all relevant to the work I did this summer. Legal research and writing were critical daily components of my work. I was surprised and a little disappointed about the limited reach of our services. BRLS could only help people address legal issues. Many of our clients were facing a panoply of challenges, only a few of which had legal solutions. While we could help them in these areas, often solving one problem is only a temporary fix, because without addressing the bigger issues, there is a high likelihood that our clients (and many other people) will find themselves in the same situation again. For example, many low income people make informal, unwritten landlord-tenant agreements or don’t possess a copy of their written lease; this results in many landlord-tenant disputes that could otherwise be avoided. My research for Professor Peppers allowed me, through the eyes of a young law school graduate, to experience the legal and political world of 1915-1916, which bears some surprising similarities to today: Oregon attempted to limit its workday to ten hours, Arizona passed a law restricting “alien” labor, and minimum wage was under hot debate. It was fascinating to look into that time period and see tests we still use today being developed. I took this internship because I wanted to learn more about providing legal aid and the kinds of issues that low income populations are experiencing. My experience this summer reinforced my desire to do policy work, and it has helped me gain a better understanding of the ground-level issues. I am also interested in clerking for a federal judge after I graduate, and digging into the legal history and legacy of Justice Holmes gave me an opportunity to glimpse the legal world just as judges were beginning to have law clerks. While I know that I won’t be working out of an office in the Justice’s home as early clerks did, I am looking forward to learning from and working with a judge. My experience at BRLS has already influenced my class selection for my 2L year, because it demonstrated that I need to have a broad understanding of the basic areas of law, including business. As a result of my summer internship, I am taking Close Business Arrangements this semester. The other way that my summer experience has influenced my approach to law school is in giving me a more realistic perspective and respect for the practical aspects of advocacy, appearing in court, working with clients, and caseload management. I am interested in the legal theory, but I now have a better idea of how that theory applies in practice. The projects I worked on as a research assistant have also been incredibly salient. Opinions by Justice Holmes show up in every subject, and it is really useful to have a deeper knowledge of him and the historical context for some of his decisions.